I was recently asked to discuss Saki Santorelli wonderful book Heal Thy Self at the Playfield Institute Mindfulness Teachers Support Group, Stratheden Hospital, Fife. 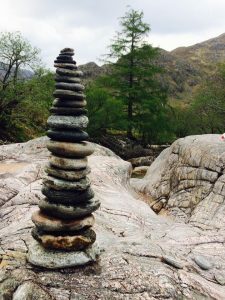 I have written out my review here in a hope that other mindfulness teachers might be provoked into thinking through their own personal practice, attitudes and teachings. In essence Santorelli tells us that he has encountered many health professionals that have struggled to deliver mindfulness to clients, and for clients to engage with mindfulness teachers. Interesting to think why that might be. Santorelli makes this observation from a position of great experience. He has 20 years clinical experience and has worked at the University of Massachusetts were in 1999 Mindfulness Based Stress Reduction (MBSR) was in its 12th year. He talks about the 10,000 patients that had come through the MBSR programme. Jon Kabit-Zinn is the director and pioneer of MBSR at Massachusetts and he writes the Forward celebrating the book. Santorelli writes poetically and he touches something deep in us as he explains his discoveries, challenges and insights as he carries out his mindfulness work. But it’s not just the themes of the universality of the human condition, the non-permanence of all things and the phenomenon of compassion that touch us. I read a very powerful message in his work that requires discussion, namely: what does being a mindfulness teacher require? Perhaps to narrow this down we might just start with the questions of what does being a mindfulness teacher mean for your relationships and your personal practice? It is the discussion of these questions that explains why Santotelli’s book touches so many of us so deeply. “For too long care has been conceived of as either practition centred or patient centred. In actuality, the healing relationship has always been a crucible of mutual transformation” (p. 20). In contrast Santorelli asserts that health professionals and mindfulness teachers are situated in a place pregnant with the potential of mutual transformation, if and only if, they acknowledge their own wounds. He argues that when entering into mindfulness sessions and relationships both the health professional facilitating the session and the client are engaged in “lively collaboration and mutual transformation”. The reason that Santorelli believes that this is the case is because of his depiction of the health care professional as ‘a wounded healer’. By this he means that all human beings are wounded in some respect, and perhaps this is what has drawn us to mindfulness. Drawing from the Greek myth of the greatest healer, the immortal Chiron who was near mortally wounded by poison and must live for eternity as a healer that must always be wounded. The wisdom to heal others but not able to completely heal oneself, sums up the Santorelli’s depiction of the health professional. Santorelli argues that deep down most of us know that we are wounded and that is perhaps consciously or unconsciously a way of avoiding looking at our wounds. He provokes us to think deeply about our rationale for decided to enter the health profession: “Oh servant of the healing arts … aren’t you searching for the cure too … aren’t we all searching for the cure that will restore our wholeness”. He asks us “Our willingness to sit together without judgement, without giving advice, without reaching for easy answers or invoking shallow affirmations. Isn’t helping simply an expression of our longing to recover this completeness? At its centre, the profession of healing is the fulfilment of our wish to serve, to give, – and to be restored” (p. 12). We, as mindfulness teachers, might pretend to be without wounds, to be leaders, to even be perfect and capable of fixing others but this is a façade, an unhelpful game or a charade that creates problems. Indeed one of the key points of his book is that as teachers we must not turn away from our own wounds, or as he describes our personal suffering as ‘the bandaged place’. The reason for this is that by attending to our own wounds we have the potential for transformation, and only by doing so can we begin to really help others: “if we do not look at our own wounds, our own unwanted, rejected places – acknowledging, honouring and reclaiming them within our accommodating presence – how can we possibly do this with others? (p. 19) By doing so the mindfulness teacher is engaged in his/her own personal practice and engaging with his/her own wounds. This enables an openness, a not hiding, and an authenticity in the relationship with oneself, and thus with one’s clients, if not with all that we come into contact with. Thus for Santorelli acknowledgement of our own wounds with honesty, acceptance and non-judgment are essential practices for the mindfulness teacher, so that these practices can be authentically and compassionately shared with our clients, if not our relationships with all. For me this means to continue a regular personal and collective practice, but also to seek out new teachers and experiences to ensure continued personal and professional development. To this end I have just completed (October 2015) the .b Mindfulness in Schools Projectcertificate course, so that I have the tools and resources to bring mindfulness to the mental health of young people in Fife. I have also spent the weekend on a two day retreat in Edinburgh titled Mindfulness – Creative Embodiment with Fay Adams and Gareth Williams. I’ve come away inspired to begin again to realise my own creative potential in order to connect with each experience, but also to use this creativity to connect more deeply with each client and person I come into contact with so that they too may realise their own creative potential.